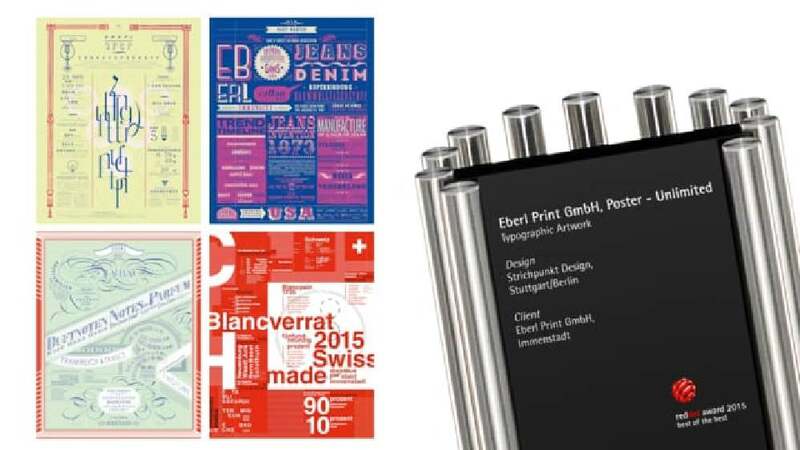 A series of typographic posters illustrating specialities from eight countries around the world was produced for Eberl, a media company which specialises in printing high-end media publications and packaging. By choosing fonts and a graphic language that evoke the traditional characteristics of each country, the ability of the publishing house to respond appropriately and sensitively to the specific needs of different projects was expressed through a series of typographic metaphors. The poster for Switzerland, for instance, is designed in the national colours of red and white and illustrates the renowned Swiss watchmaking craft through the example of exclusive manufacturer Blancpain with numbers and facts as well as a chronograph in the background. Naturally, Helvetica was chosen as the font because it already bears the Latin name of Switzerland in its name, and today is the most widely used font of all. Meanwhile Russia is represented through its national drink of vodka illustrated in clear letters of Cyrillic appearance. Thus, each country is given a distinctive visual expression. This poster series fascinates due to the sovereign as well as detail and a style-conscious use of fonts and design. Another eye-catching feature is the sense of joy achieved through experimenting with colours, shapes and illustrations, all of which express what is special about a country, not only in a highly playful manner, but also in a way that manages to attract attention through intriguing appeal.